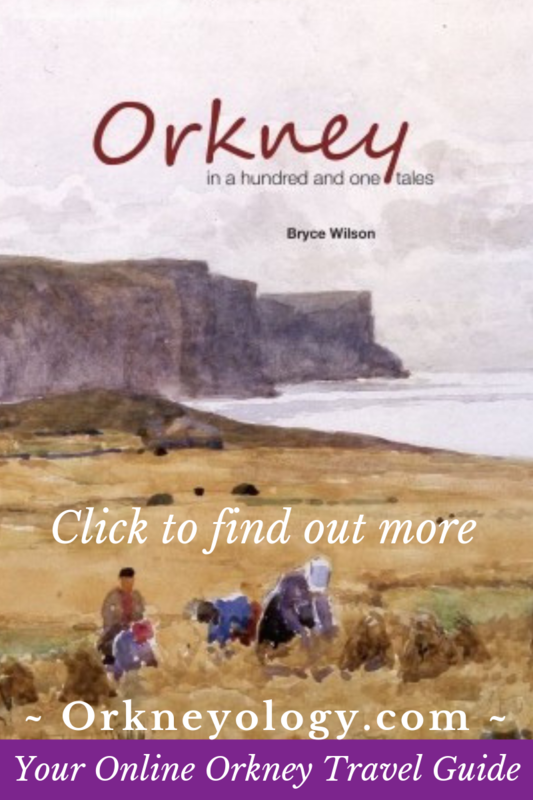 Like most Orcadians, Bryce Wilson is far too self-effacing to talk about his many talents. So I will. But I'll have to keep it short, or he'll make me take down the page. You'll find Bryce involved in many of the interesting things that go on here. And there are some really interesting things that go on here. 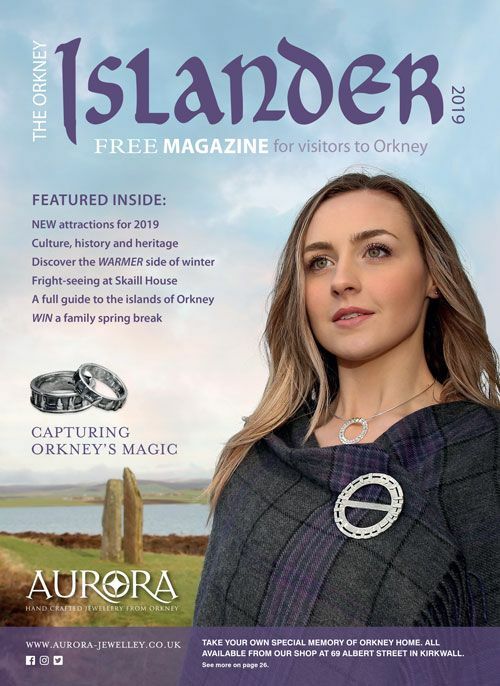 Stromness Shopping Week. 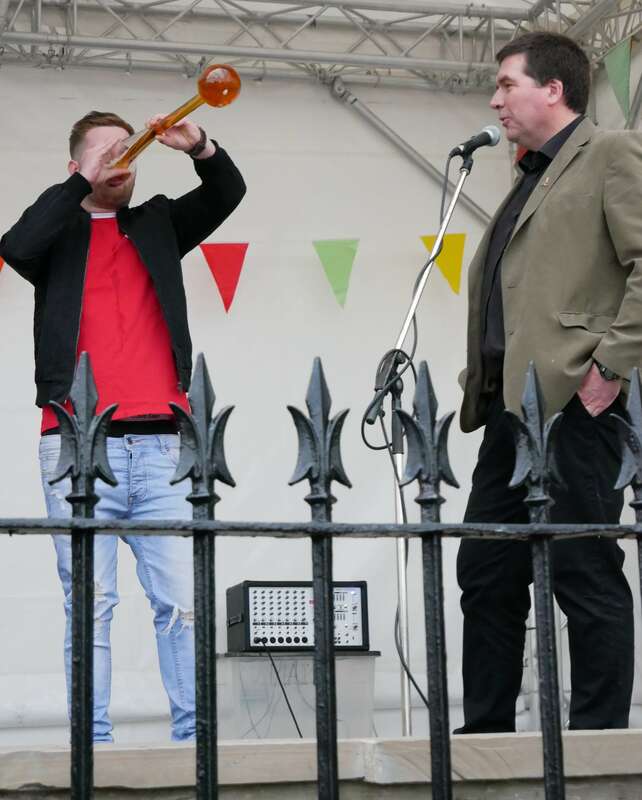 Here we have the "yard of ale" competition. 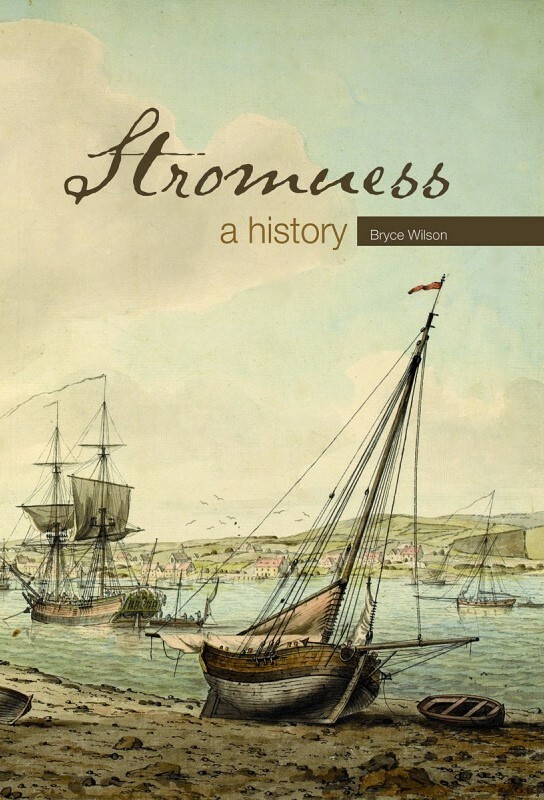 Bryce volunteered for Stromness Museum for many years. He's still consulted when his expertise is needed. 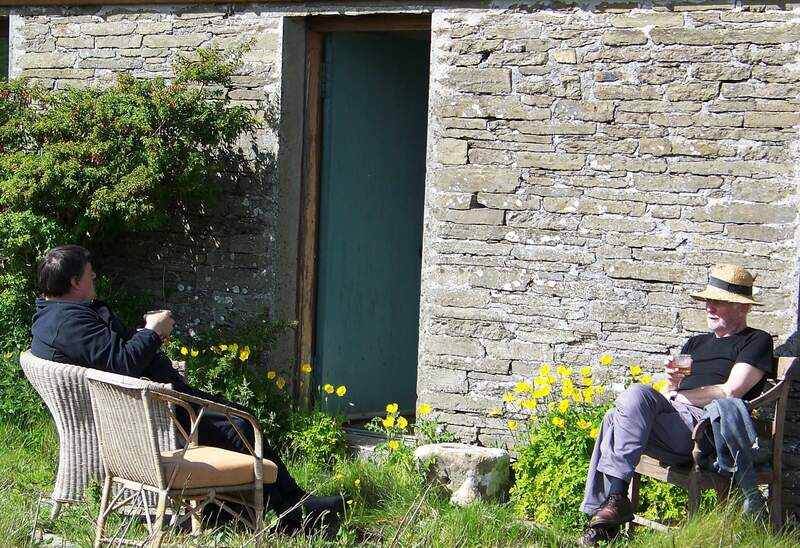 On top of that, he was Orkney's Museums Officer for nearly 30 years. 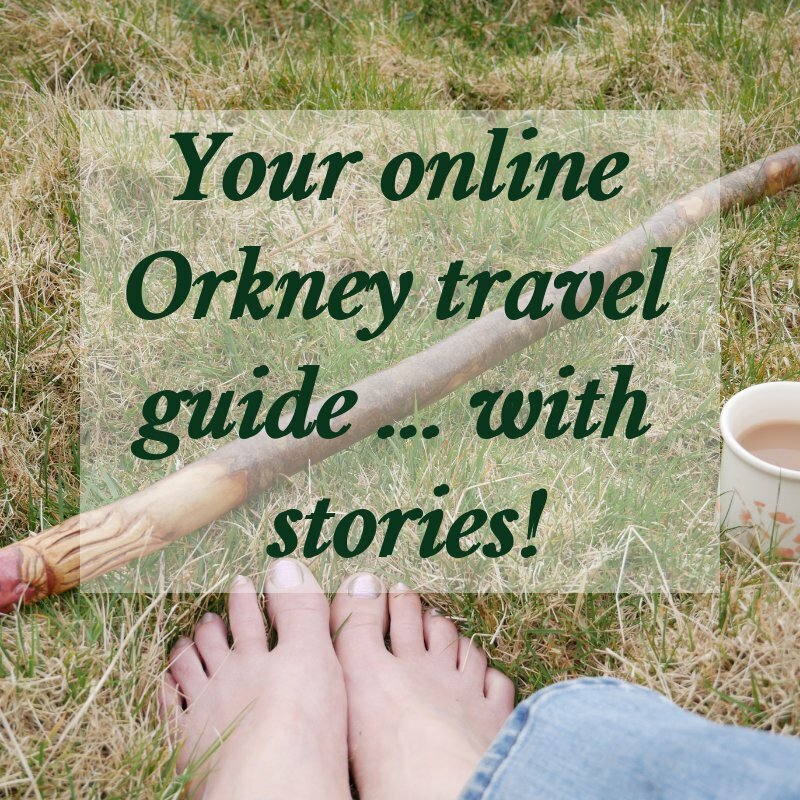 The man is steeped in Orkney's history. 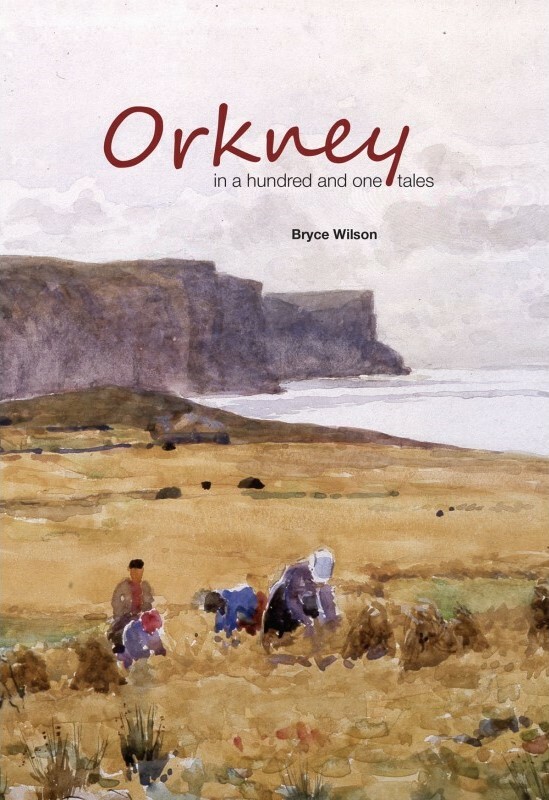 As a respected local historian - and as a warm and interesting person - Bryce Wilson is woven lovingly into the fabric of the Orkney community. 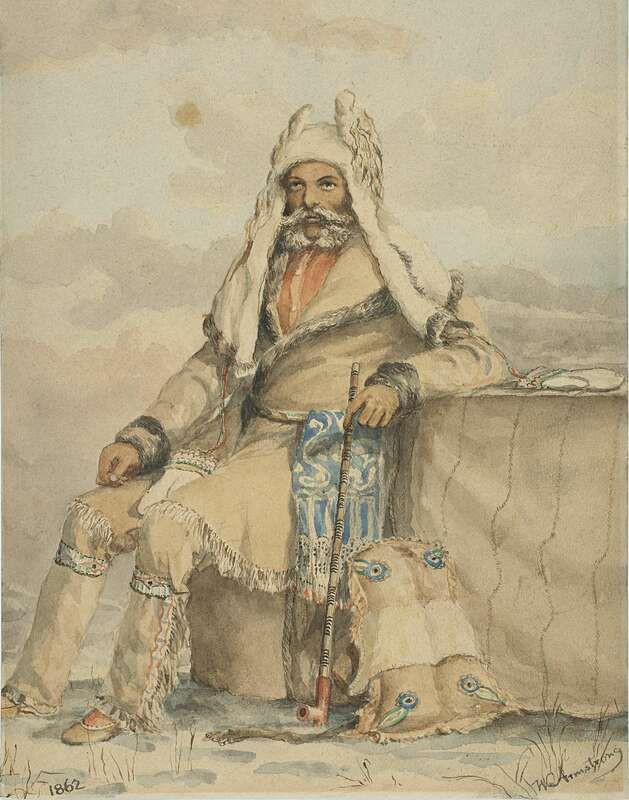 If you've been browsing Orkneyology.com for very long, you might have noticed that Bryce is a skilled illustrator. He studied at Gray's School of Art in Aberdeen, becoming an itinerant art instructor around Orkney's island and Mainland schools. 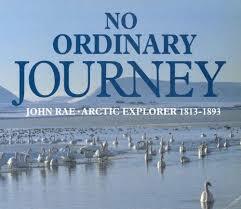 He later headed the art department at Stromness Academy. 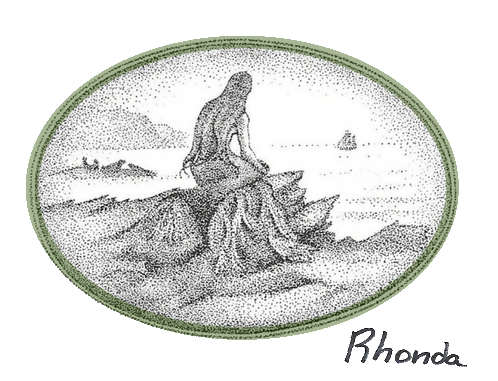 Bryce Wilson drew the illustrations that Tom and I use at the top of each page on this website. 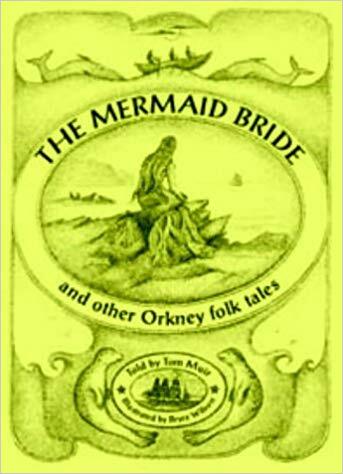 You can find the rest of that whimsical collection in Tom and Bryce's book, The Mermaid Bride and other Orkney folk tales. 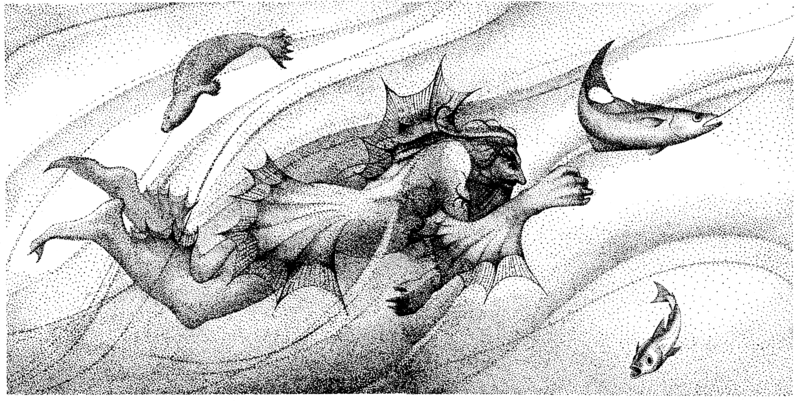 Tom and Bryce happily collaborated on The Mermaid Bride book more than 20 years ago. 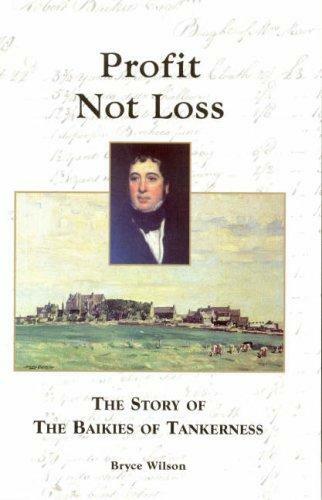 The book has been reprinted many times ... and the friendship goes on. 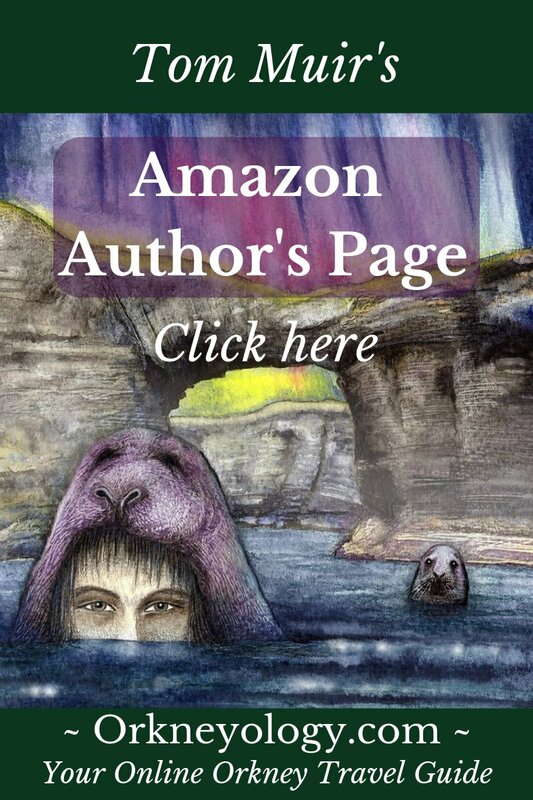 You can click on the cover to order these books from our local bookstore. 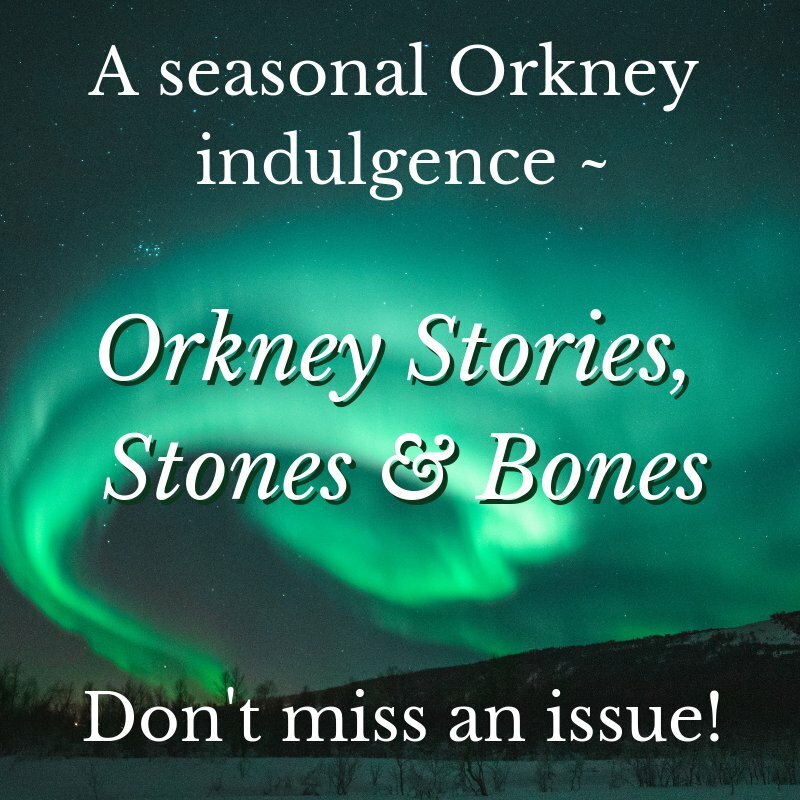 The Orcadian Bookstore ships internationally. 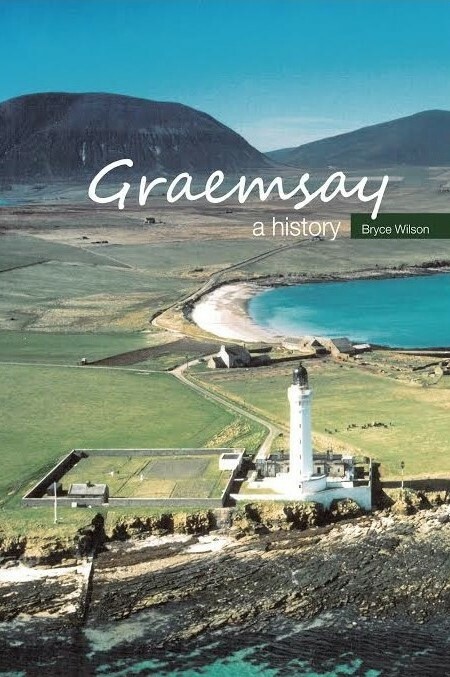 *For more about Graemsay, see this page. 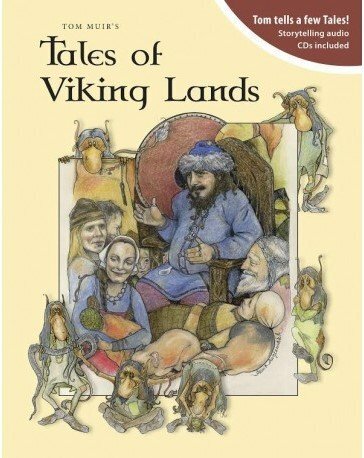 Bryce authored and illustrated this adaptation of three Orkney folktales. 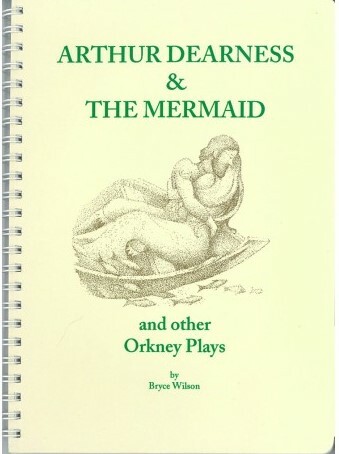 The plays are in Orcadian dialect, with background notes and prop suggestions. 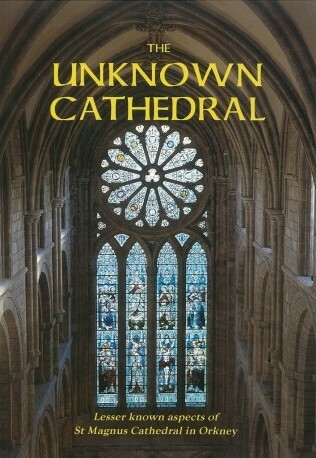 Bryce contributed a chapter to this behind the scenes book about Kirkwall's St Magnus Cathedral. 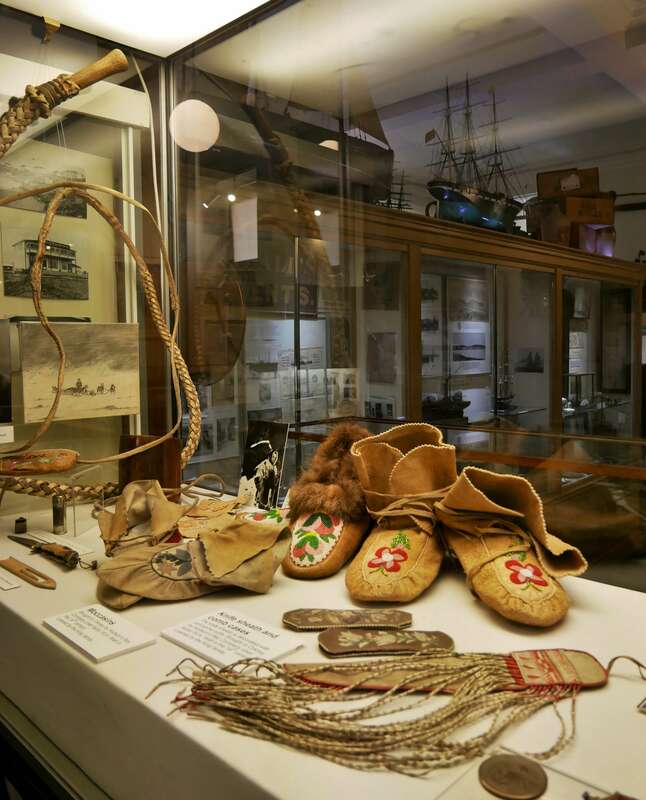 You'll have to search around to find these collector's items. See below for tips. 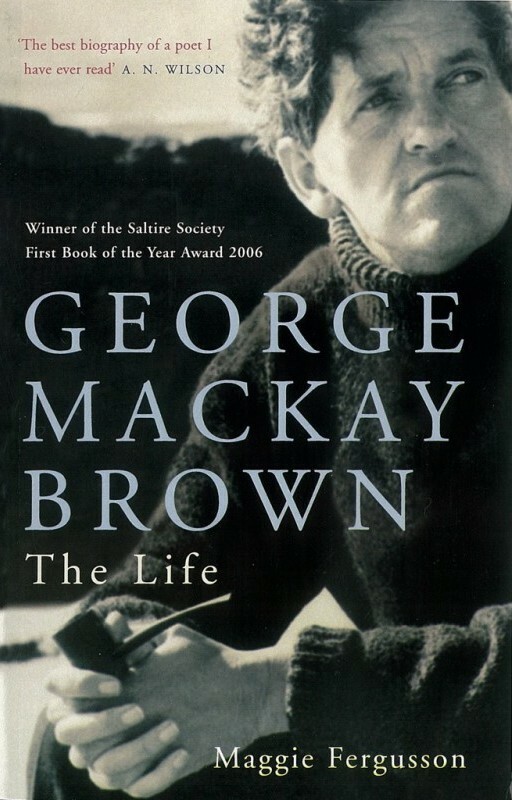 From the foreward by George Mackay Brown: "It is not only at an eccentric and delightful seaport that we look: it is at a still centre from which horizons have unfolded for many generations ...."
Bryce wrote the first chapter for this book, about Rae's early life in Orkney. 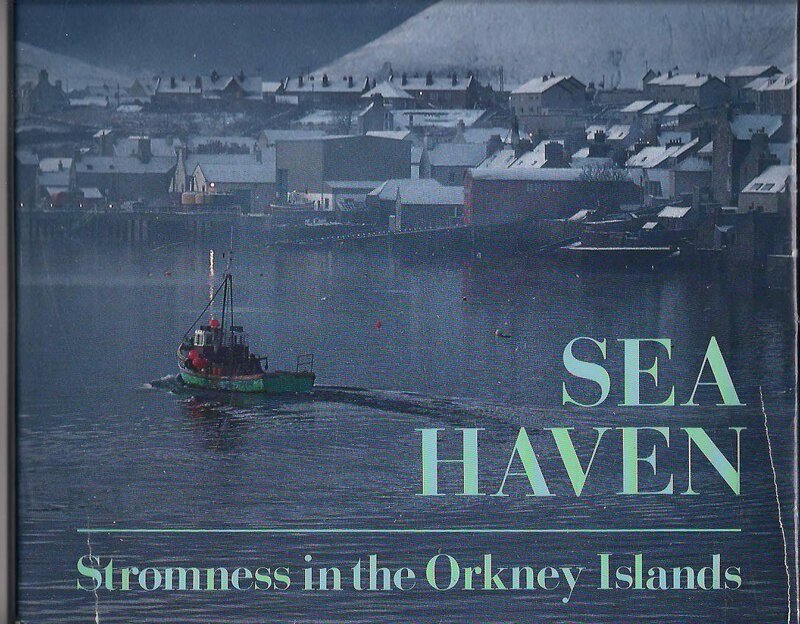 A booklet that Bryce wrote to accompany a Stromness Museum exhibition in 1975. 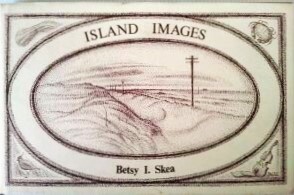 Bryce's sympathetic and beautiful illustrations grace Betsy Skea's sweet island memories.